Hello today I’m doing a Seiko SNXS79K review. When I have the time I do like to put the effort in to feature extra affordable watches from solid brands that I consider well worth people considering. 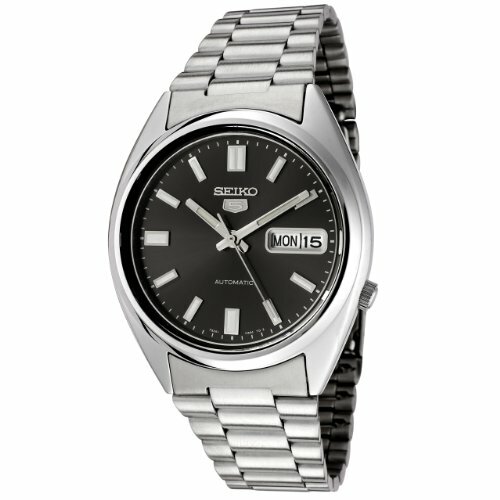 This watch was perfect as it’s under £60 and it’s from the brand Seiko which are well known for having made brilliant quality watches for a very long time. Anyway, I’ll get on with my SNXS79K review below and you can find it on Amazon, enjoy. 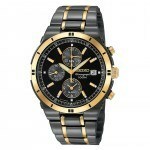 This watch is a brilliant all rounder when it comes to value for money. 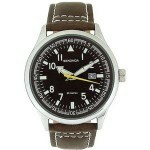 At under £60 you get a lot of watch which is good. For some reason the RRP originally was £250, now let’s be honest this isn’t a £250 so I would never have suggested buying it at that price but for the low cost of under £60 now it’s definitely worth our time to look at. The dial is pretty much straight to it no messing about, easy to read hands and hour markers both of which are luminous so will be easy to read in the dark. It’s also worth noting this is a automatic self winding watch which I love. You’ll need to fully wind it before first wearing it then if you wear it out each day it should store all the energy you ever need. If you leave it off for a couple of days you should expect it to stop running, but then all you do is simply give it it’s initial wind and start over. The type of glass used here is a mineral crystal. This is a decent hardness rating that will prevent a fair amount of scratches. Obviously don’t expect it to do the same standard as a sapphire glass would do but that’s more for watches that are £300+. Now looking into the size I personally consider the 38mm case diameter to be a little small for me, my proffered size is the 42mm you see a lot more often these days. At 38mm it is still classed as an average size so you may find it to be perfectly fine, Seiko do sometimes go for slightly smaller watches. The thickness is 12mm which is classed as large so it’s like a small but slightly chunky design. Due to there being no numerals on the dial it was pretty easy to fit in a nice large date and day display on the dial. Now the watch can showcase the date with the day of the week next to it. The watch features a standard stainless steel fold over clasp, I honestly wouldn’t expect any different at this low price really. The strap is only 16mm whereas the average these days in 20mm. This is likely due to the smaller size of the overall watch, so would actually fit in better. I’m glad I’ve taken the time to have a proper look at this watch. I do love being able to showcase some honest reviews for affordable watches. 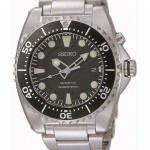 I think this is great value for the money, it’s a well known brand watch with good features and good parts. If you get a chance why not also check out my top 50 watches under £50, you’re bound to see another watch you also like to have a little comparison with and get what suits you best.